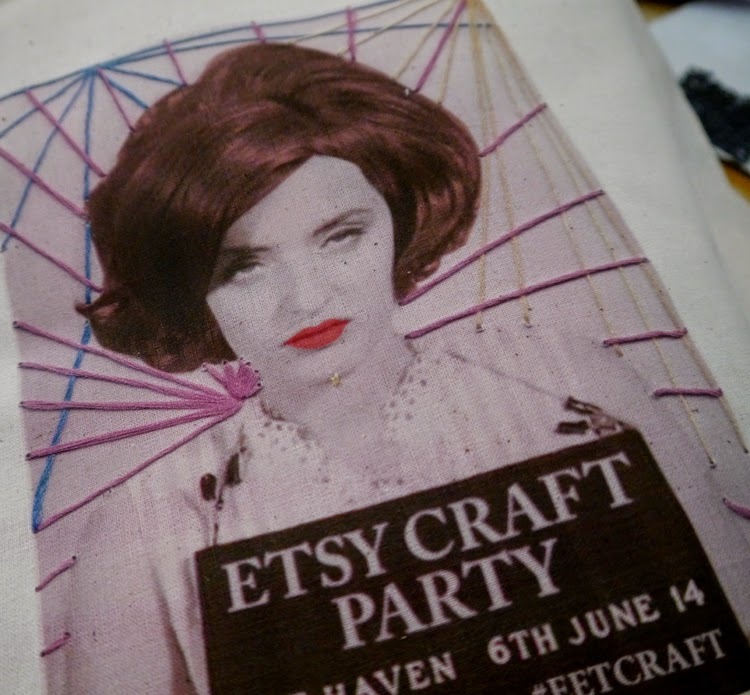 This time last week we were all excited about attending the Edinburgh Etsy Craft Party. 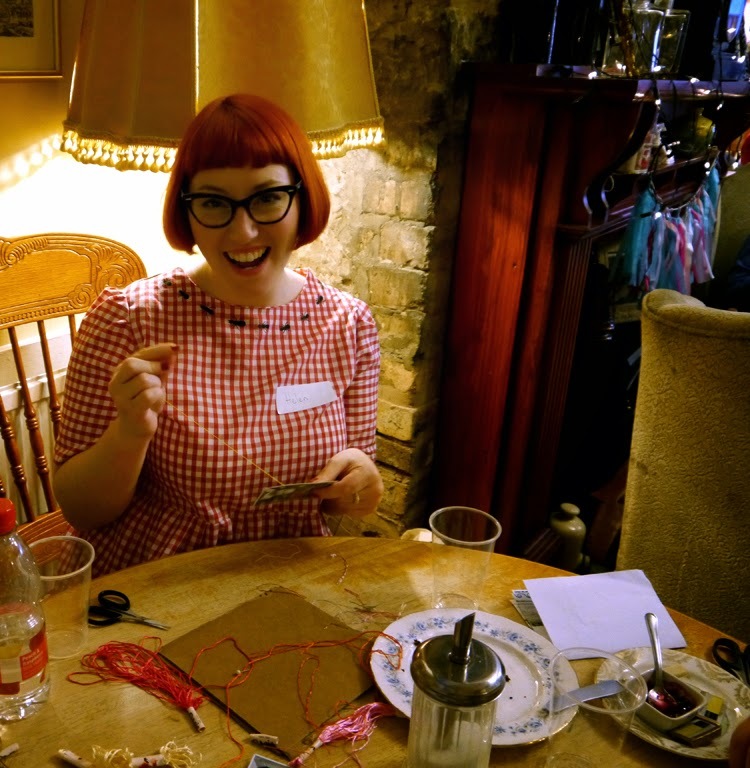 This was part of a worldwide event where crafty types gathered together for creativity, cakes and wine. 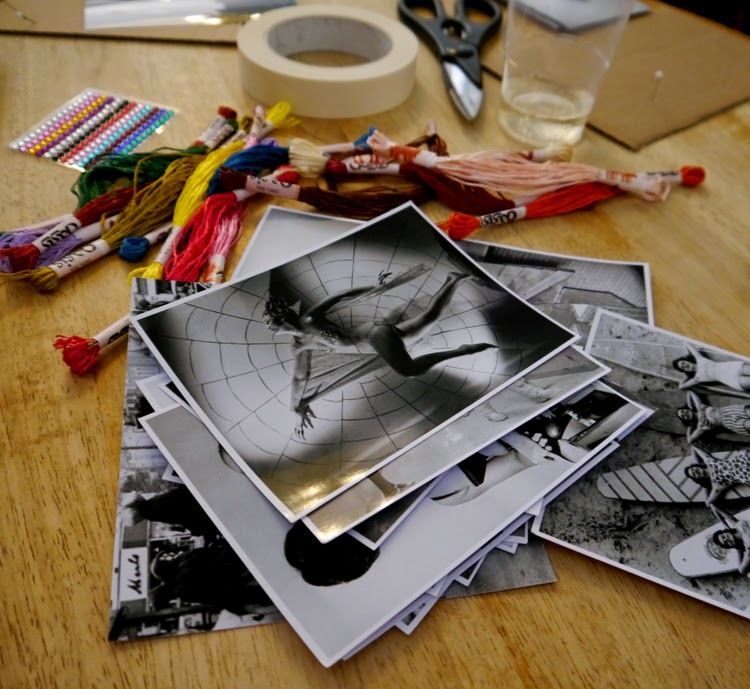 This years theme was all about bringing new life to old photos with embroidery and embellishment. The Edinburgh soiree was held in The Haven, an adorable little cafe that was all ours for the evening. The decor was so pretty with vintage mirrors and suitcases adorning walls and shelves. Upon arrival we were presented with a fabulous goodie bag, a glass of fizz and all the supplies we'd need for the night. 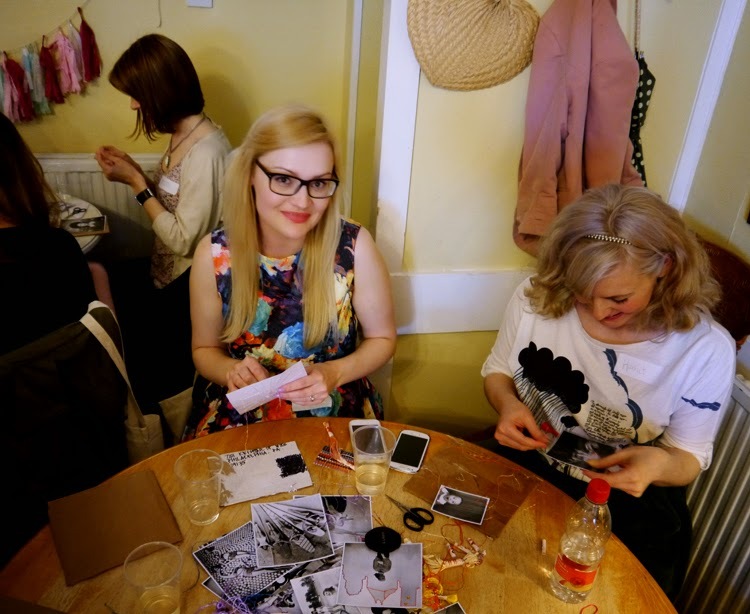 The event was expertly organised by the leaders of the Edinburgh Etsy team - Vicky, Zyzanna and Fiona. 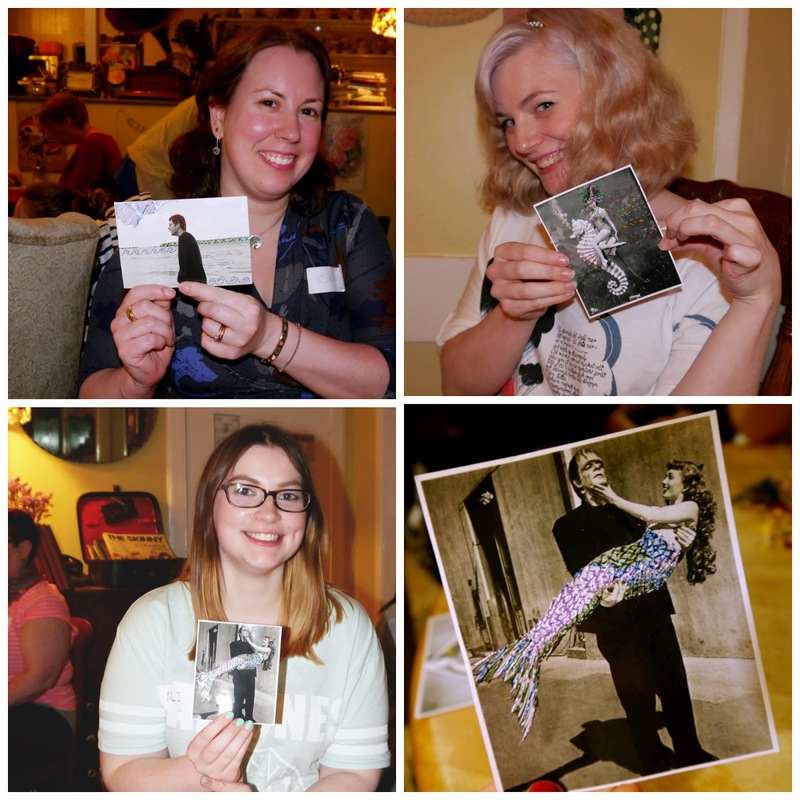 They made us feel super welcome as we got comfy at our table, where we were presented with an excellent array of vintage photographs to choose from. After we'd decided which ones we wanted to embellish most of the evening was spent deep in concentration as we tried to bring the images to life, while not stabbing ourselves with needles or pins. 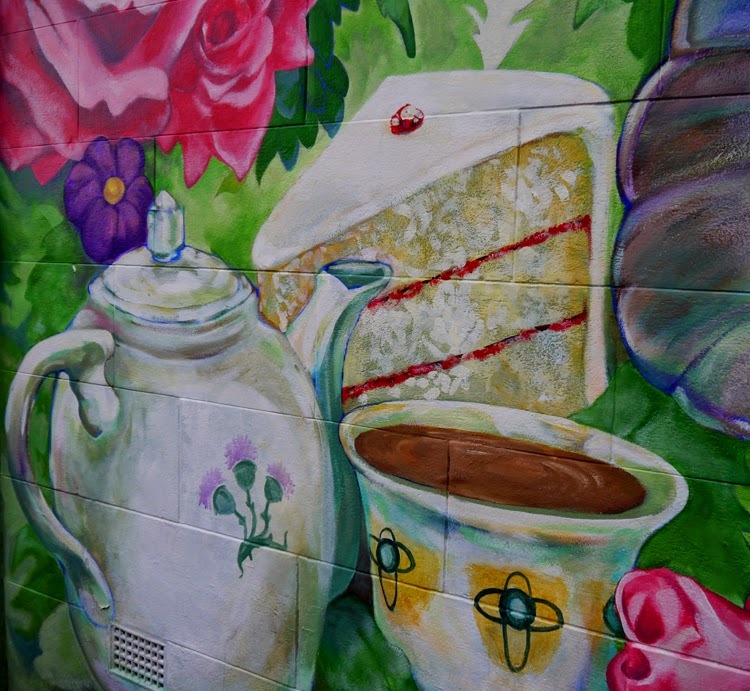 We didn't quite succeed at the last part but we did manage to find time to eat tasty cake and chat with the lovely ladies at our table. Just look at their awesome handiwork. That mermaid tail is amazing! 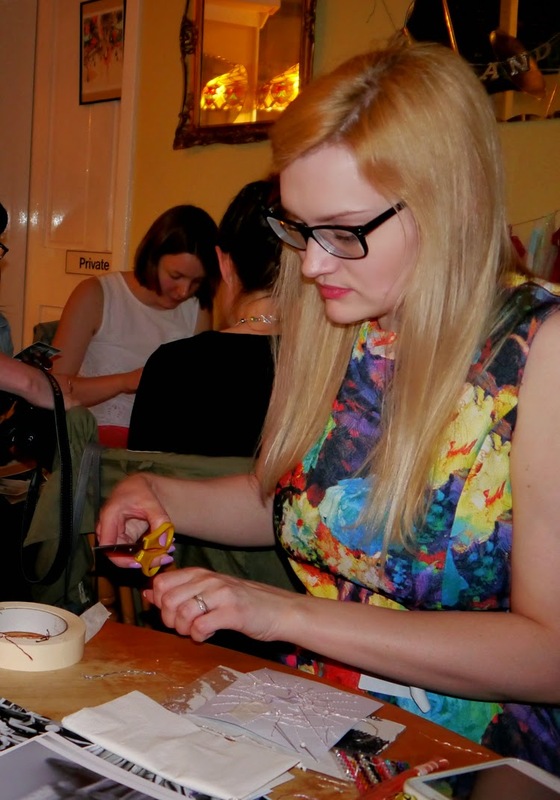 The excitement didn't end with the crafting and the company though. There was also the thrill of opening up all the little parcels in our goodie bags. 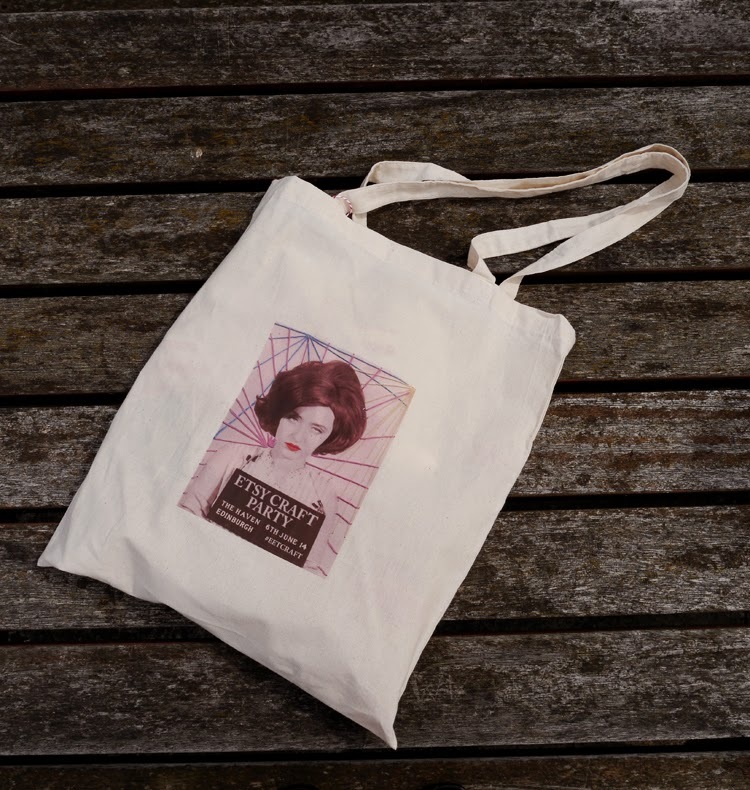 For starters the bags themselves were rather special, featuring the poster from the event with this rather sassy lady. Then inside there was all of this!! 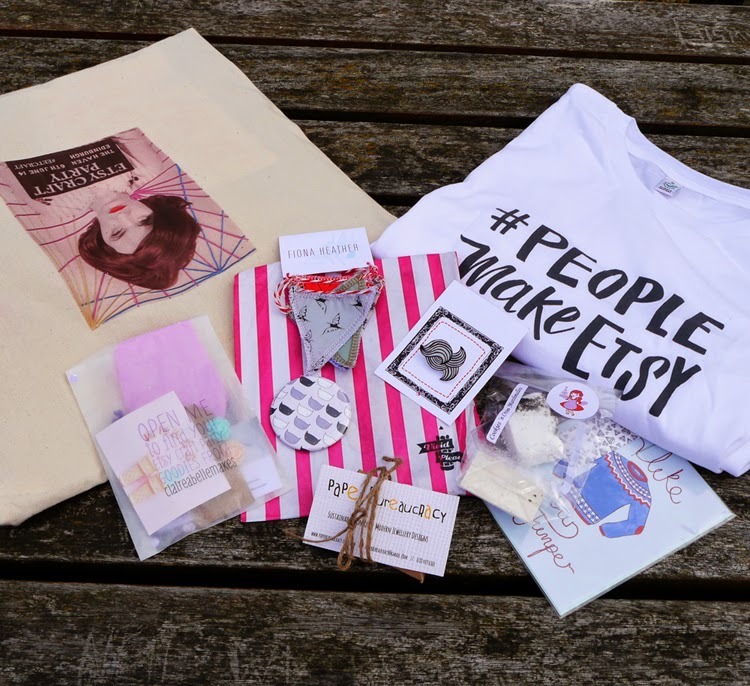 That's one super special Etsy tee, a bag of Vivid Please stationary, teeny tiny bunting by Fiona Heather, some Jolly Good postcards, a tasty mallow by The Marshmallow Lady, a parcel of prettiness from ClaireabelleMakes, adorable jewels by Paper Bureaucracy and an illustrated brooch handmade by Zyzanna. Phew! What a lot of treasure! And if you didn't make it along to the party you don't have to feel left out. Vivid Please are holding a giveaway with a chance to win your very own goodie bag.